How Well Do Small to Mid-size Businesses Know Their Customers? Our Outsourced Sales VPs work with small to mid-size businesses to help them understand where they have deficiencies in their sales processes or team. They start by having them take the Sales Agility Assessment to uncover what they are doing well and what they need to work on. 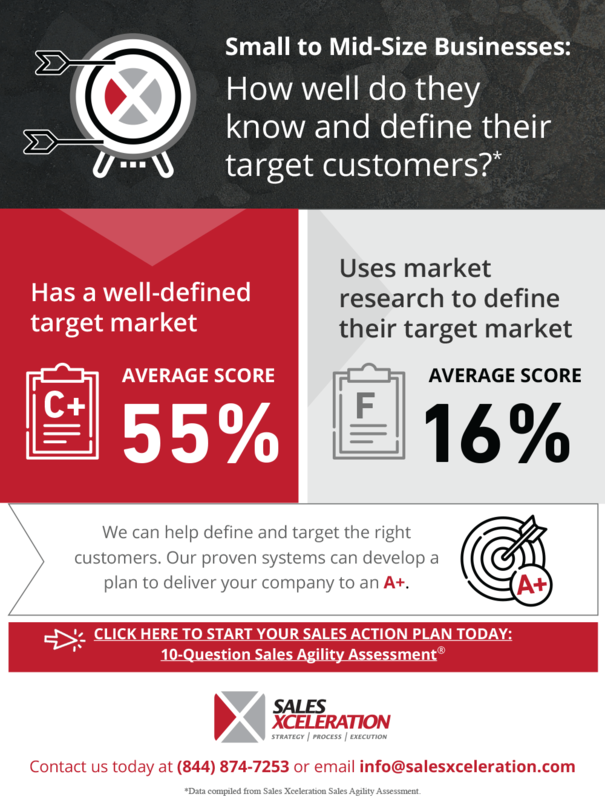 Based on thousands of surveys, we have uncovered that only about half have a well-defined target market and most have not done any research to find those customers. We have worked with these companies and used our proven processes to define the right customers to put them on a sales growth track.